Ah, I see Robinson is going with the soft and cuddly look to fool the defenses. I saw Bijan, and thought of that type of dog. 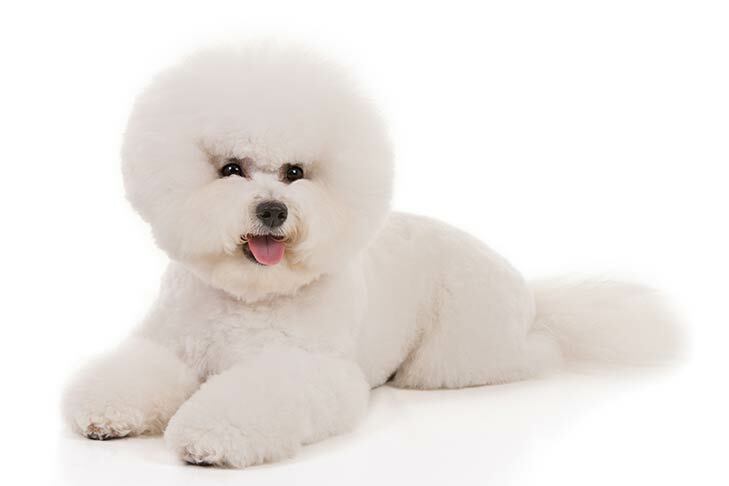 But to be honest, I didn’t remember if they truly called Bijan or Bichon. Other than Shelties and German Shepherds, I don’t know much about the dog world. Our current dog is a rescue Heinz 57 mutt. PS to add: who in the heck DV’ed you? Sounds like a mistake you don’t want to make in India. Reminds me of the word “Ma” in Chinese, say it one way it means “mother”, say it another it means “horse”. It’s important to know the difference. Dobbins will be helped big time by Justin Fields!!! It will be interesting to see what the new offense will be. Spread the field sideline to sideline, throwing the ball and add a downhill run game is what I hope to see! of uncommon character, not 'me'. 'come what may', 'against all odds'. Incessant babbling, every time you post. so a Hemi is half a sphere. But a hole, whenever we choose half empty. I guess 8.8 ypc will do. Love where we are at with the unit and going forward though! I’d be happy with Bijan or Milton and Trayanum as the second option. We have the depth to give him a shot. But I can easily see him playing the Bullet, too. Getting a 5-star might mean having to look at who else we take differently. Trayanum is an absolute beast at RB. He reminds me a lot of Carlos. In 2019, we took Crowley as a pure RB and Steele Chambers as a "football player" who could swing between RB or LB. I can see the same thing in 2020--one pure RB and one guy who could play multiple positions. I don't see us getting two 5-star RBs and even getting a 4-star with a 5-star is a push unless he's an APB like Drennan or McClain. Trayanum ran a 11.43 100m as a sophomore. While that's not as fast as Milton, who ran a 11.04 PR last March, Milton's next best time is 11.39, which means Trayanum would be in that race to the finish. Over 200m, Trayanum is actually a split hair faster (23.41 to Milton's 23.43), and his 100m PR is faster than Drennan's (11.77) and Crowley's (11.87). And, of course, he's 16-17 years old, so it's not unreasonable he'll get faster. Like I said, if not at RB, I could see Trayanum headhunting opponents from the Bullet--give him his shot at RB; if it doesn't work, he's on defense. Don't sleep on Teague III. That young man can carry the rock. This is what I keep telling people. My #take for the 2019 season is that folks will start calling for Teague or Chambers after the first third of the season once we see what they can do compared to Dobbins. I really hope he proves me wrong but I’m just not very high on Dobbins based on his lack of speed and his poor showing last year. Idk, the run game languished in the RPO funk with 0.0 threat of the QB keeping the ball. And then all of the sudden vs Maryland, it was decided (or Haskins decided) to become a threat with the ball in his hands. That combined with alternating series with Weber put Dobbins in a strange position. Heck, Weber is going to be drafted into the league and he didn’t look very good either imo. Hopefully we will see an offensive line playing the run game with purpose and a Dobbins running with the same wreck less abandon as his freshman year. Right and that could be the case. Like I said, I hope he proves me wrong. Just haven’t been impressed. Weber had the much better rush average last year under the same circumstances and he also had that home run speed, something Dobbins lacks. So I know everyone has all of these excuses ready to defend Dobbins but I think the future is brighter for Teague and Chambers. That’s my opinion and it’s what I’m predicting. Milton could be Zeke 2.0, 220 pounds with break-away speed? HELLO!!! Love Milton. Would love to land him over all others mentioned. Just look at his highlights. Unreal. Red rover, red rover, send Milton on over! Sounds like a Punisher, from Clovis, just north of Fresno in central CA, which bespeaks good midwestern values. Most of the east half of the US doesn't realize that the CA Central Valley is more like middle America than the rest of CA, so expect a hard working, both feet firmly on the ground young man if he comes our way. Technically, Clovis is east of Fresno. And, being a resident of Central California, I wouldn't necessarily say we have Midwestern values. Obviously there's a ton of farming, but that's where the similarities end. Taj, lived in Bako for 17 years before moving south to both Riverside and now in Newhall/SCV. But grew up in Ohio and lived in OKC for four years. The similarities are eerie. But there are some real differences as well, as Hispanic culture has a slightly bigger influence in the Central Valley than in the Midwest. Also have to realize that most folks who've never been here (CA), think the entire state is LA or SF, but there is a great deal in common. But hey, people are people no matter where they're from. Steely, grew up in OH and used to live in Visalia. Reside now in SoCal but have been up and down Cali many times for work. I know exactly what you mean when you mentioned Midwest feel. By “Midwest feel,” are you saying you had a really cold winter with sub zero wind chills and lots of snow? And who could forget Jammie Jammie Jammie...The Ohio state university! Our current stable of RB's is not exactly chopped liver. I'll trust Tony Alford and Ryan Day's judgement on a RB over some schmuck at 24/7 any day. If there's one position on offense we ALWAYS have had solid guys at, it's RB; going all the back to Arch. Not worried. we ALWAYS have had solid guys at, it's RB; going all the back to Arch. He a few before Archie Griffin too. Get the point of how “offended” our country is becoming, but the Buckeyes have been known as the Silver Bullets for decades and never once have the anti-gun crowd came barking. Doubt they would start now, but who knows. You could be right. I think Teague looks every bit the part of an elite sort of back. Dobbins will likely put up 1600 yards or more this year and we have a very good back waiting in the wings to tote the ball for the next couple years. And we would also have Snead had he made better choices. Milton has great size. That would be a missing ingredient. Seems like our RB have been 5' 10" and weight is the same too. Not saying that's bad but if you're playing 3 RB shouldn't one look different than the other 2 ? I would love to see a bigger back avail. Milton looks great. The young man from Lakeland Florida Mr. Bowman, looks great as well. The guy from Arizona as well. Get 1 of the top 10 backs and another who wants to compete and play plenty as well. Wishful thinking: Robinson and Milton aren’t going to the same school. I wasn’t a big Drennan fan but after watching his tape a couple times, I’ve come around. I think McClain is faster and more shifty but I’d be very happy with Drennan. Who writes this crap?? Mccall was the no 1 APB when he was recruited. I call Fake news, you guys have trouble with facts!! Also Meyer didn't seem to want 6' 3" 235lb running backs those are usually the top rated RB's, so this story is inaccurate and not well stated. Based on your comments you only come on the site to blast the writers of the stories. Why come here? Must be difficult to be such a negative person. Cheer up. Enjoy the day and all the Buckeye news! Freedom is but a click away, friend. If memory serves, Brian Snead was the number three rated running back coming out of high school, and Jaelen Gill was a five star hybrid. Too bad Snead wasnt able to stay. I coached Bijan and his older brother. We definitely want him.